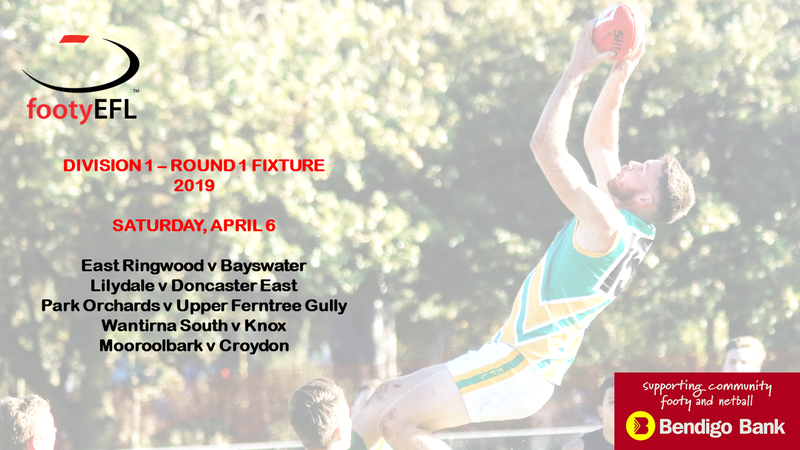 THE 2019 Bendigo Bank Eastern Football League senior men’s fixtures have been officially released. 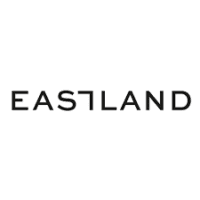 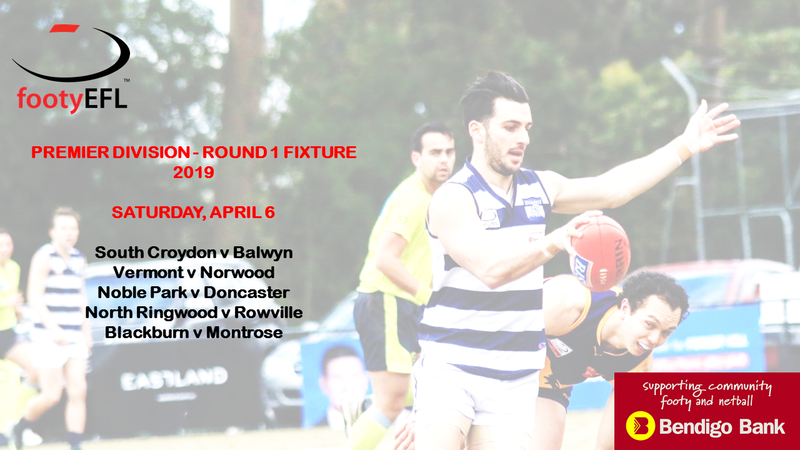 Beginning on Saturday, April 6, Round 1 sees Vermont unfurling its senior flag against Norwood in Premier Division, while Lilydale hosts Doncaster East in a grand final rematch in Division 1. 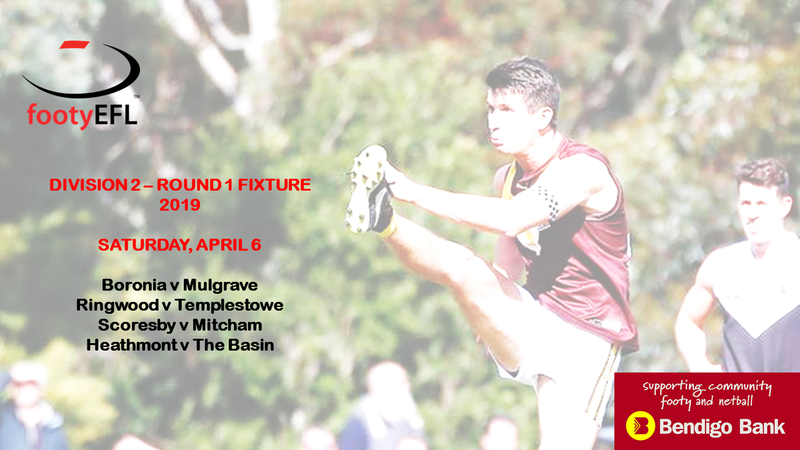 Meanwhile, Boronia unveils its premiership flags at home to Mulgrave in Division 2, as Ferntree Gully hosts the first night game of 2019, facing South Belgrave in Division 3. 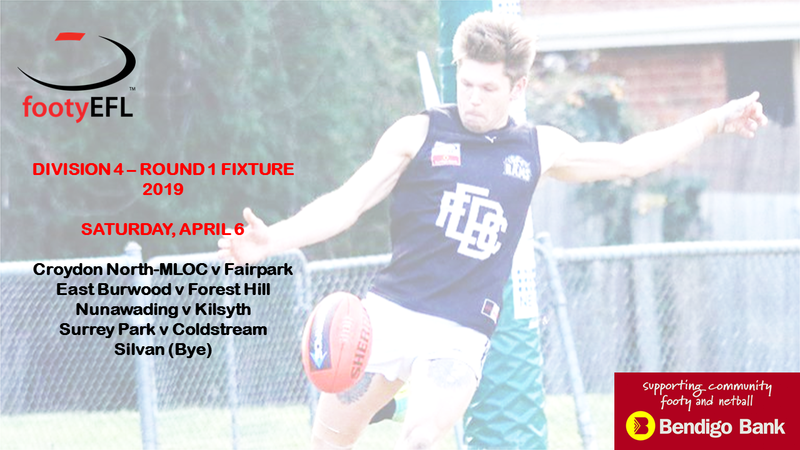 The EFL’s newest club, Croydon North-Mount Lilydale Old Collegians, begins its season at home against Fairpark in Division 4. 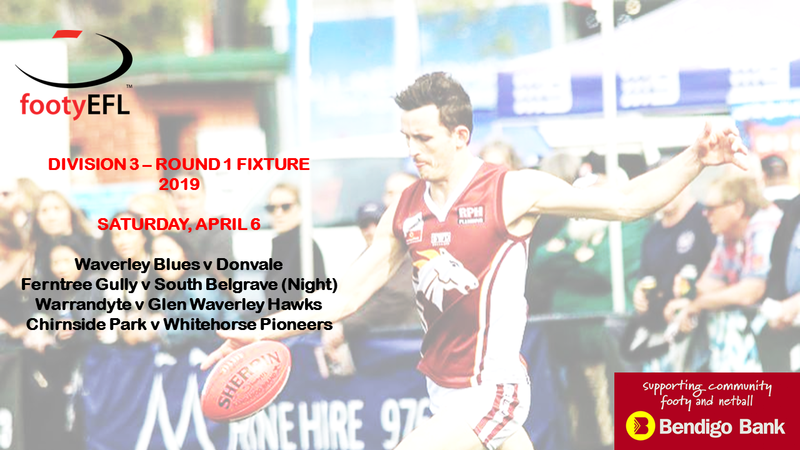 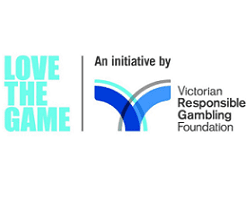 Good Friday footy returns for another season, as well as Anzac Day football, with the traditional Queen’s Birthday weekend clash again featuring along with a number of night games. 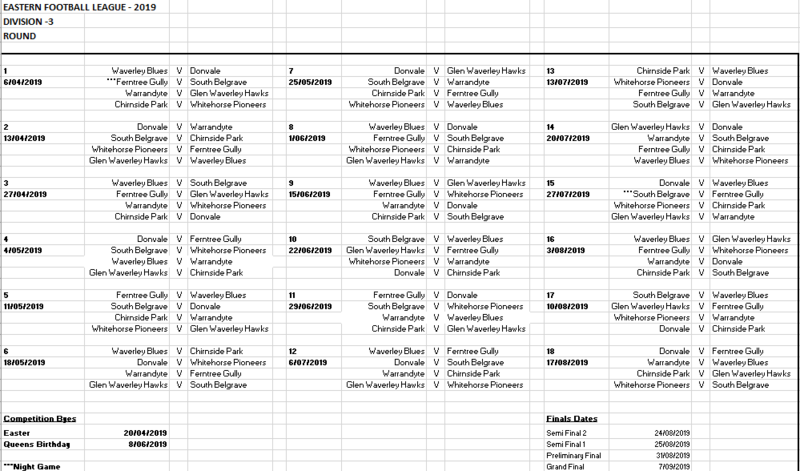 See below full fixtures for respective divisions. 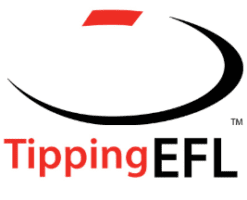 Simply click the title link or photo to access full season fixture for each respective division.